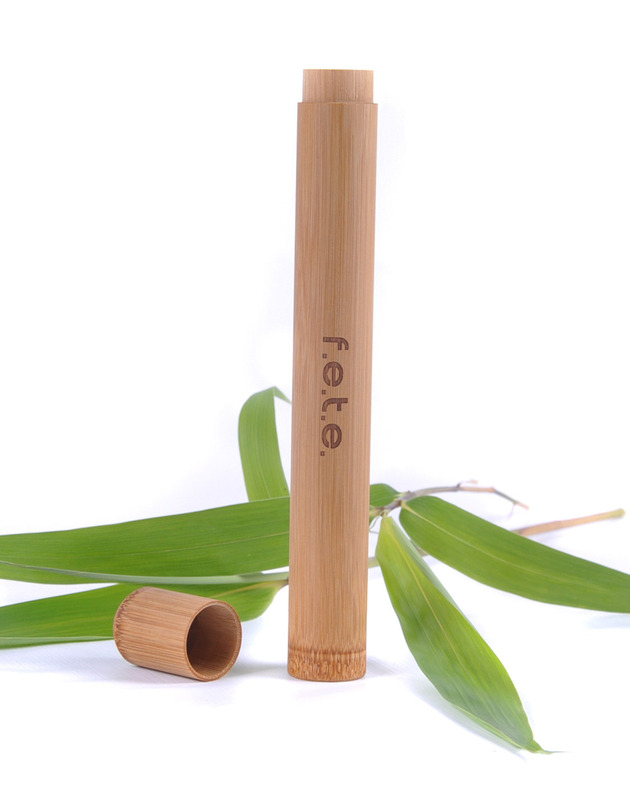 All natural bamboo toothbrush travel case. A solid bamboo case with a removable top and a drainage hole in the bottom. The F.E.T.E. travel case is a perfect travel solution for both children and adult size toothbrushes.